Welcome to our website. 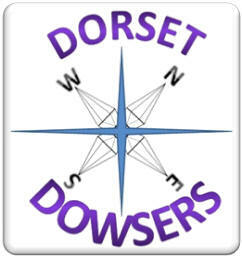 Dorset Dowsers group was formed in April 2010 and is affiliated to the British Society of Dowsers. We are a very friendly group of like minded people who enjoy and explore the amazing world of dowsing. Dowsing is searching, with the aid of simple tools, for answers to questions which may be out of our view or knowledge. Dowsing can be used to find answers about health and medicines, food and food allergies, finding lost articles or objects. Finding water, locating water leaks, underground water pipes and underground streams. Discovering Earth Energies and Geopathic Stress. Meetings are held at Corfe Mullen Village Hall. Towers Way, Corfe Mullen. BH21 3UA. The hall will be open at 7.15pm, with about half an hour tuition and tea available and talks begins shortly after. If more tuition is requested time will be set aside. The room provides a screen, Wireless Internet Access, multimedia equipment and the usual kitchen and toilet facilities. There is an Assisted Hearing System and wheelchair access. Users are requested to use the Hall car park and not the Co-op car park. Website hosted by Blackcap Computing Ltd. Send mail to steve@blackcap.net with questions or comments about this web site.